CND is bringing the Summer vibe to their nail collection this 2018, with four shades designed to give fingers and toes that Spirit Of Summer. 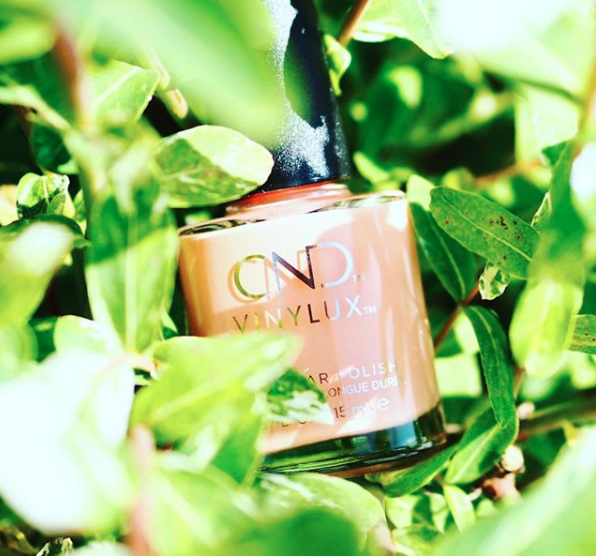 CND Vinylux range of long wear nail polishes have some rather summery shades joining them this year, I have two that caught my eye, but, if you prefer yellow and tangerine tones they have those too, check out the range at Cult Beauty. I chose a glorious peach shade called Uninhibited and the most pretty coral colour called Offbeat. Having worn CND previously and featured it on my blog, check it out, here, I know the longevity and durability is something that many brands claim their products have, sadly, it's not always the case, but, these really do stand the test of time and housework, even gardening! I tried the Coral shade and one coat gave great coverage and a true colour, the brush is shaped to make the application easy and I find the rounded head perfect when working towards the edge of the nail and there is no flooding of the cuticles with this, it is the perfect accent to the Summery weather, as the light changes, this really does stand out and will add a gorgeous finish to toes also, time to get those sandals out. Refreshing, bright and beautiful for long and short nails, it really is the Spirit of Summer. The peach polish is the softer, gentler option, a beautiful Summer's wedding shade, the colour of a sandy beach, one coat is an iridescent soft hue of peach, two coats gives the what you see in the bottle depth. Both shades are glossy, shiny and give nails that perfect finish. The Vinylux range has a top coat that seals the colour and adds to the durability and colour longevity of the polish, the beauty of this is the small amount needed to work over the nail, rather than my often reached for the top coat that I pool onto my nails. I also use this as a base coat to protect the nails and give a smooth canvas for polish, a good option if you use darker shades, as I do generally, although, I find that CND polishes don't stain my nails.